What leads some people to be so more successful than others? 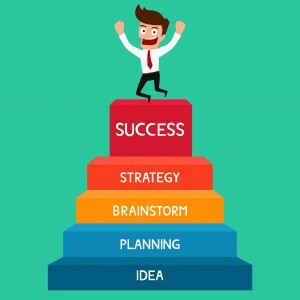 I have studied and learned the common traits of highly successful people throughout my life, which has made me a better investor and business owner. Successful people think, talk and approach situations, challenges, and problems differently than most people. As I had done, you can benefit from learning from their actions and mindsets to set yourself on the path to success. Many people never go far enough in getting recognised, gaining attention or making a big splash because they are trying to protect or conserve a reputation, a position, or some already achieved state. The successful are willing to take gambles – to put it all out there and know, regardless of the outcome, that they can go back and do it again. Successful people may not know all the answers, but they attempt to figure it out or at least find someone who can. Problems or complaints become opportunities in the eyes of successful people. Where others may see road blocks or a hard road, they recognise that problems can result in new products, services, customers and possibly financial success. It’s important to recognise that success is about overcoming a challenge so you usually can’t succeed without some kind of difficulty. Highly successful people are compelled and invigorated by challenges, which they see as experiences that sharpen their abilities. To achieve your goals, you have to get to a place where every challenge becomes fuel for you. People with a “can do” attitude approach situations with the outlook that no matter what, it can be done. They consistently use phrases like “We can do it,” “Let’s make it happen,” “Let’s work it out” – and they always maintain that a solution exists. These types of people talk in terms of explanations and resolving issues and they communicate challenges with a positive outlook. Successful people eat problems for breakfast! Give them a problem of any type and they’ll solve it. The bigger the problems – and the more people who benefit from the solution – the more powerful their success will be. One of the fastest and best ways to separate yourself from the masses is to establish yourself as someone who makes situations better and not worse. 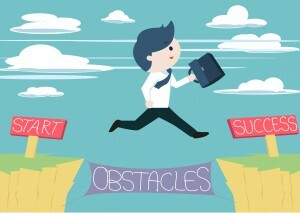 The ability to persist on a given path in the face of setbacks, unexpected events, bad news or resistance is a trait common to those who make it. This quality is absolutely necessary to make any dream a reality. Having an unreasonable outlook in this context is about dreaming big and not settling for the status quo. Would we have cars, airplanes, space travel, telephones or the internet if someone hadn’t done something that another person had labelled “unreasonable” or unrealistic? Until an action is turned into a success, it is not complete. Successful people keep trying until they have reached the goals they set out to achieve. They don’t take “no” for an answer and have the determination to keep up the fight. The highly successful take unbelievable amounts of action. Regardless of what that action looks like, these people rarely do nothing – even when they are on holiday. The unsuccessful talk about a plan for action but never quite get around to doing what they claim they’re going to do – at least enough to ever get what they want. 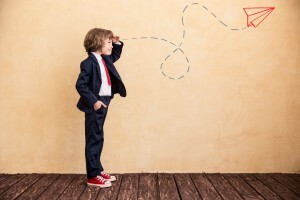 Conversely, successful people assume their future achievements rely on investing in actions that may not pay off today, but ones that will bear fruit sooner or later. When given an option to do or not do something, always say yes! Life is to be lived but you can’t live your life that way if you’re constantly saying no. Start to say yes often until you become so successful that you are forced to add “no” to your arsenal to best start manage your time and efforts. Until that time, make saying “yes” part of your success-building habits. Commitment is actually one of the things of which there is a shortage. Far too many individuals fail to commit fully to their activities, duties, obligations, and responsibilities to see things all the way through. 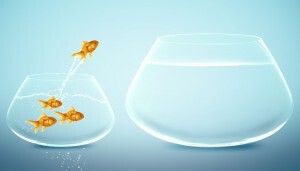 To achieve success, it is vital that you quit testing the water’s temperature and instead commit to jumping in! Taking actions immediately allows the most successful people to design the future they desire. They’re well aware that procrastination is the ultimate weakness and anyone who puts off doing what he or she can do right now will never gain the momentum and confidence that result from doing so. Being careful requires you to take actions cautiously and there is no way that you will ever hit peak activity levels by being cautious. Massive action demands that you throw caution to the wind, even if it may put you in the path of some type of perceived danger. Of course there are many other beliefs, habits and traits shared by mega successful people. 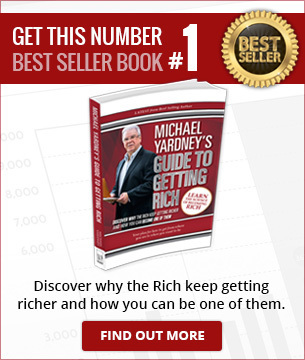 If you want to know more so you can join their ranks I strongly recommend you read my book Michael Yardney’s Guide To Getting Rich, where I share my studies of how the rich and successful became so and how you can join their ranks.